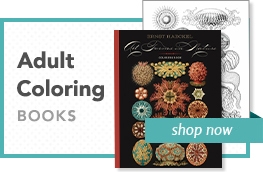 The popular fascination with luxurious cut flowers and the cultivation of rare plants excited the imagination of Dutch artists in the seventeenth century. 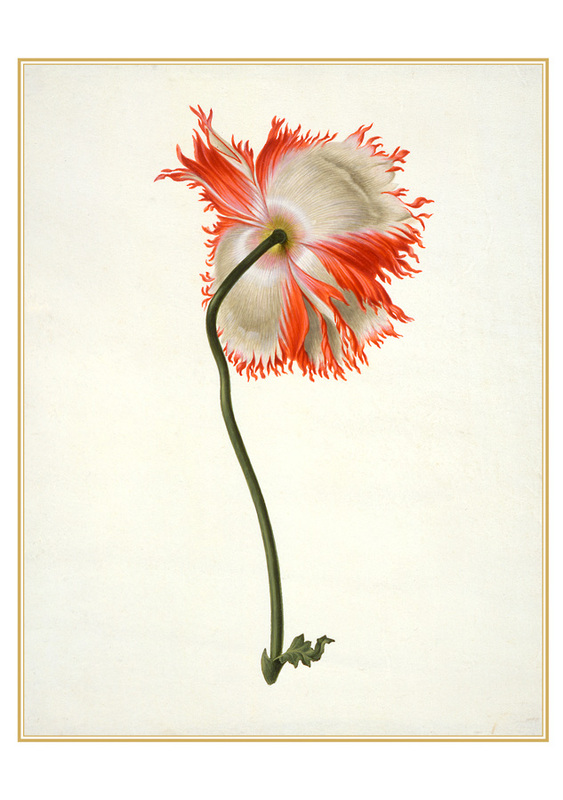 During this golden age of botanical art, artists such as Pieter Withoos emphasized aesthetic value in flower paintings destined for the walls of wealthy patrons, and scientific record in drawings that documented physical details for plant identification. 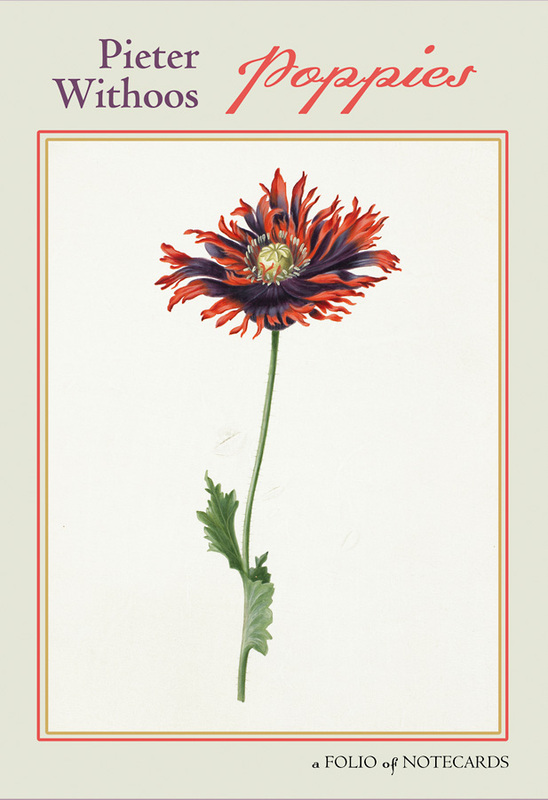 Such latter works of art were prized for accuracy and illustrative grace, and were often included in printed herbals and, later, in florilegia—lavishly illustrated anthologies of literary flora. 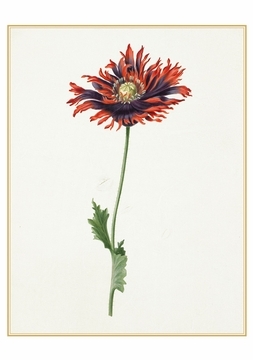 Pieter Withoos and his siblings trained in the studio of their father, Mathias Withoos, who built his artistic reputation on masterly floral paintings and still lifes. 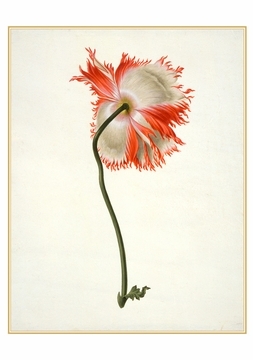 Pieter would ultimately specialize as an artist of flowers, birds, butterflies, and other insects. 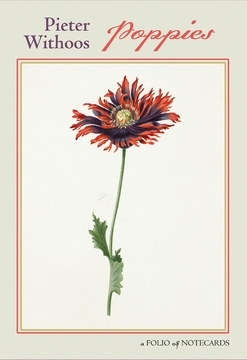 The two poppies represented in this notecard folio were bequeathed to the Fitzwilliam Museum at Cambridge University by Henry Rogers Broughton, 2nd Lord Fairhaven (1900–1973). 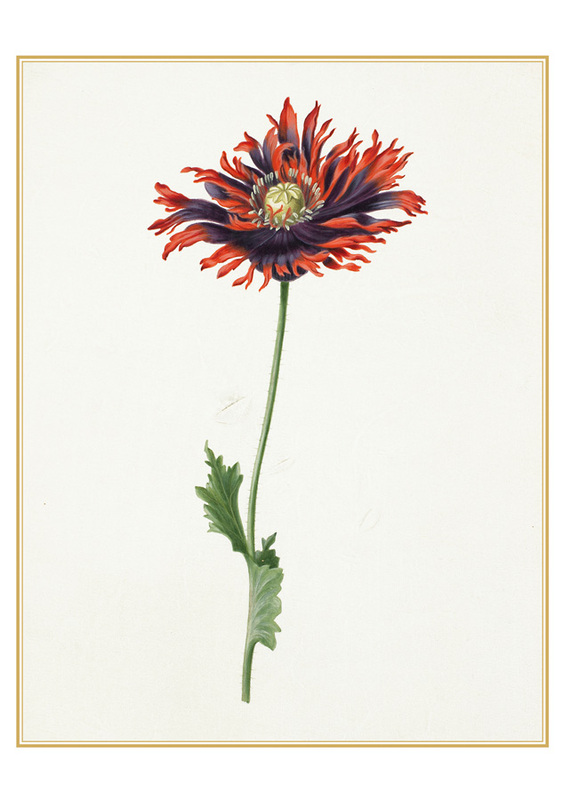 The many hundreds of drawings, watercolors, paintings, miniatures, and albums included in this landmark bequest have made the Fitzwilliam Museum at Cambridge University one of the most significant collections of flower paintings and botanical drawings and watercolors in the world.